The scale of the sea wall separating Swansea beach and Swansea harbour can be seen here without to much ambiguity. However, when looking from the top end, at its lowest point to the ground, a confusion of scale becomes apparent. While it seems from the top of the beach that the wall doesn’t “grow” in size much at all, as you walk towards the sea beside the wall, it becomes gradually apparent, until, at its highest point, you realise the true scale of it towering above you. 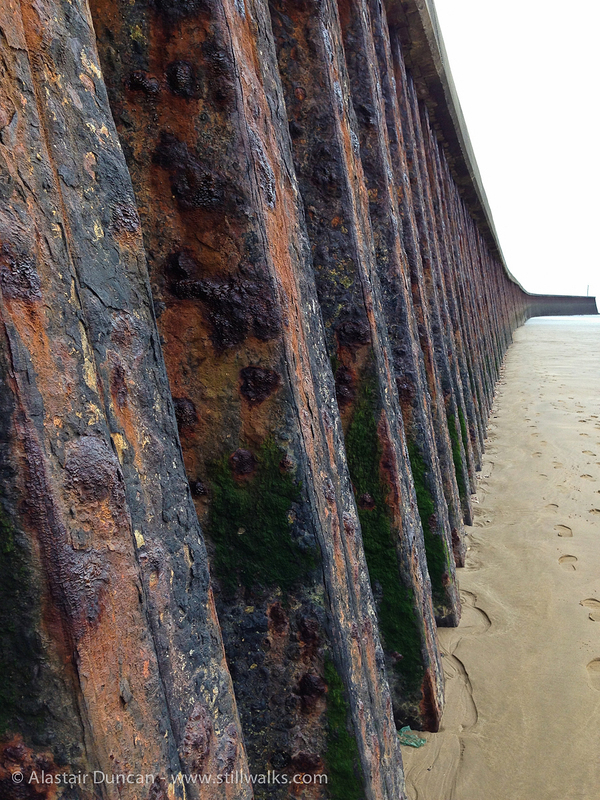 The same effect of space distorted can be seen if you approach the wall “broadside” from a distance along the beach. It doesn’t matter that I know the scale of the wall and have approached it in this way many time, that strange confusion of scale does its trick on my perception of it every time. Has anyone else experienced this kind of spacial effect here or anywhere else? 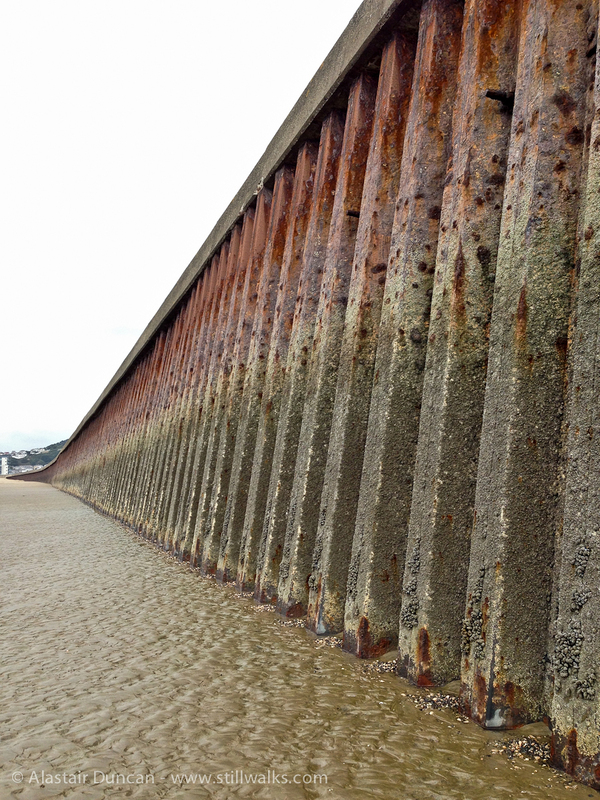 Posted in Architecture, Environment, Landscape, Photography, Walks and tagged beach, confusion, perspective, photography, rust, sand, scale, sea, sea wall, size, space, Swansea, walks, weird effects. Thanks – the space and scale experience by this wall on Swansea beach is confusing – I held back from posting a photo of my daughter standing at the foot of the wall which must be about 5 times her height!